This mod adds dodge animation of using key tapping when player drawn weapons,spell,staff and unarmed. Short press (press and release a button quickly) or double tap in the forward direction. It can be changed to front direction + Dodge key in MCM. Enable dodge when player is equipped spell and staff. Player has invincible time at the start of dodge. Dodge enables cancel attack and block. "skse_1_9_32.dll", "skse_loader.exe", "skse_steam_loader.dll" and "Data" Folder move to your Skyrim Installation Folder. 1. Install and activate TKDodge.esp with the mod management tool. 2. If player can dodge but stay in place and you use virtual mod management tool e.g. Mod Organizar, put files directly in Skylim's Data folder. This mod works without FNIS, but patch is required if you use with FNIS together. 1. Download FNIS Behavior V6_3 Add-on 2.1 (tktk1 and Centaur race) from Nexus's FNIS update files and overwrite your FNIS. 2. Run "Data \ tools \ GenerateFNIS_for_Users \ GenerateFNISforUsers.exe". 3. 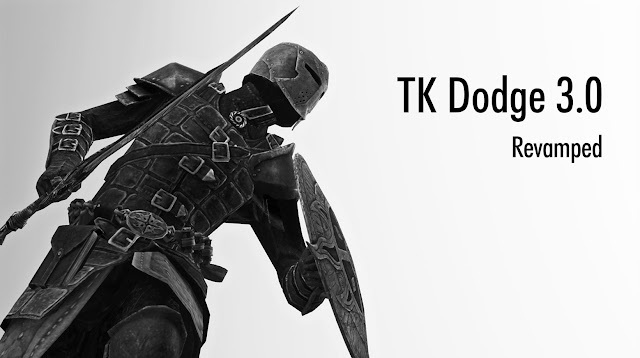 Check tktk1's "TK Dodge / Ultimate Combat" from the bottom patch list. 4. Press "Update FNIS Behavior". 5. Wait until the installation is complete. 1. Backup "Meshes \ actors \ character \ behaviors \ 1hm_behavior.hkt, magicbehavior.hkt" before install a patch. 2. Overwrite "Option - PCEA patch folder" in including this mod to skyrim folder. It changes left dodge animation to old animation before 2.0. Overwrite it after TK dodge installation. Your work will only overwrite it. Open the Console Command Window. Save and close skyrim, and then delete the files on your mod manager. Do not erase shared files by mistake when you uninstall this mod. Don't worry about overwritten files when installed. If SkyUI 3.1+ is installed, there will be a Dodge Mod menu in SkyUI’s Mod Configuration Menu with various options. Choose operation to use the dodge. Keyboard : dodgekey + directionalkey. GamePad : dodgebutton + directions. Simple : press dodge key to dodge to back. Set whether or not to accept input by double tap. - Choose operation to use Forward double-tapping. Dodge is not available when player over the carry weight limit. If player cannot dodge always, try to disable this option. Note: Required FNIS for use. You can switch from role dodge to step dodge. Uncheck "Carry Conditon" in MCM, if you modify carry weight. Set control settings to default in MCM. Redownload and reinstall SKSE and this mod. Save a game and then reload the save. Player can dodge, but cannot move from a place. If you use virtualization mod management tool such as Mod Organizer, the necessary file(data\meshes\~AnimationDataSingleFile.txt) may not be generated in that case. Copy this mod files of all to "Skyrim's folder\Data folder" directly. Or try to work below steps. Open file explorer navigate to your \steam\steamapps\common\skyrim folder. Right click on TES.exe then choose Properties. Do the above steps also with skse_loader.exe and your mod manager e.g. NexusClient.exe or ModOrganizer.exe. Cannot recover or get anything effects during dodge's invincibility. - FNISIt is cmopatible but patch is necessary. Refer to the installation use with FNIS. - Dual Dagger Power Attack Speed FixEquivalent features are included. Ultimate Combat: Overhauls combat. 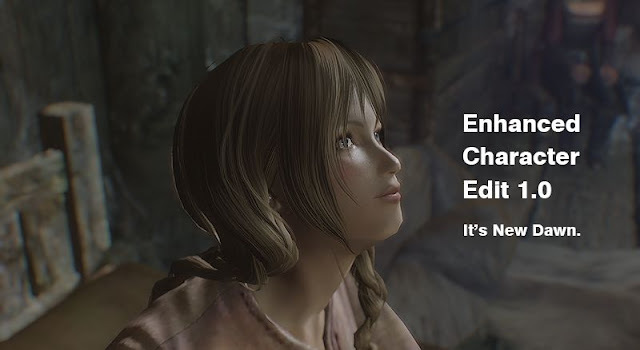 Adds new animations, behavior and dodge for NPC. Ultimate Dragons: Overhauls dragon combat which is not so unreasonable. Adds a new 15 animation and 20+ behavior. TK Hitstop - Player adds a solid feel to weapon strikes and an effect to confirm the hit. 2012.07.22 0.2 Double tapping added. Auto tracking load order function added. 2012.07.23 0.3 Alt + forward key, then on the step back bug fixed. 2012.07.28 0.4 Camera does not shake after dodging fixed. Left/Back dodge playback faster(x1.1). KeyCommandMode added. 2012.08.09 0.5 Player not hit from enemy during the dodge(0.6 second). Left/Back dodge playback faster(x1.25). 2012.08.10 0.6 No hit time(0.4 sec.) changed. Dodge playback faster when first-person view (x1.4). dodge stamina costs enabled. 2012.08.15 0.7 Forward roll dodge added. Sometimes not fire no-hit effect bug fixed. 2012.08.23 0.8 Left/Back dodge playback faster(x1.35). Sprinting bug fixed. Short dodge reduced. Enable dodge when equipment spell (WIP). Stack error bug fixed. 2012.08.29 0.9 Dodge when equipment spell function is OFF. It can be changed in the dodge.ini. Dodge when unarmed bug fixed. 2012.10.04 1.0 Improve Dodge when equipment spell. Cannot dodge when overweight and sheath. Fornotworkinguser version is unnecessary. 2012.10.14 1.1 Sprinting bug fixed. KeyInput in ini bug fixed. 2013.01.09 1.2 SKSE ver. released. 2013.01.12 1.21 Initialization of controller bug fixed. 2013.03.26 1.3 (SKSE ver. )Response faster. Dodge is possible even if player do not have silent roll perk bug fixed. Debug message hidden. 2013.08.05 1.4 (SKSE ver. )More natural dodge animation when player equipped magic or staff. Can be a double tilting at the analog stick for dodge. "Simple" input method added. Unintended dodge with input on the double tapping reduced. Dodge can be hold down sprint key to a first-person view. Continues to sprint bug reduced. Slightly faster response. 2013.08.11 1.41 (SKSE ver.) GamePad mode does not work bug fixed. 2013.10.14 1.42 (SKSE ver.) Dodge does not work while dialog open. 2015.12.15 2.0 Really fast and stable. Bug fix: continue to sprint in 1st person view. Bug fix: sometimes moving distance of dodge is shortened.Bug fix: sometimes fail to dodge. Complete dodge when equiped magic,staff and unarmed. Improved: dodge response speed. Removed: script dragon version and 1.8 plugin. Changed: left and back dodge animations. Increased left dodge moving distance and speed is same as the right. Can be set invincible time. Changed: stamina cost setting is simple. Changed: dodge is not canceled with attack or block . Forward roll dodge is unnecessary silent roll perk. Changed: moving distance of dodge is the same with 1st-person view and 3rd ones. 2015.12.23 2.0 Included Dual Dagger Power Attack Speed Fix(http://www.nexusmods.com/skyrim/mods/36453/) without version change. Apply attack speed to dual dagger power attack. Added old left dodge patch. 2016.01.21 2.01 Disable dodge when under stamina cost. Changed: default vaule of stamina cost 7 to 10. Change from step dodge to rolling dodge. Switch roll to step dodge in MCM but it needs running FNIS. It can be selected to input of forward dodge roll in MCM. Organization of MCM such as separation of items of double tap input. Animation and camera transitions are smooth. Improve speed and transition of dodge in first-person perspective. It can be rotated dodge when equipped with magic. Correspond Proper Spell Casting Direction. Your hands and waist will bend according to Aim. Fixed a problem turning when equipped with hand to hand.